Film: “Nana Ya Asantewaa and the Golden Stool” (30 mins) – the herstory of Queen Ya Asantewaa of Ghana and her struggles against British imperialism at the turn of the 20th century. 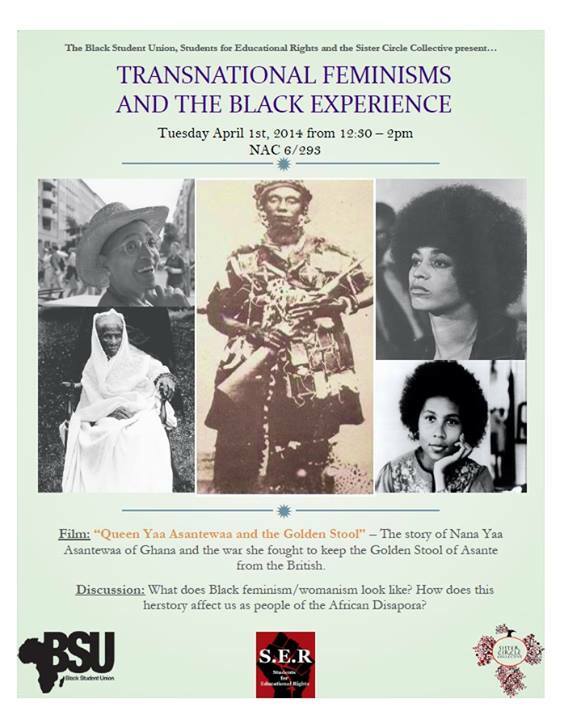 Discussion: (45 mins) How do historically strong, Black women affect us as children of the Diaspora today? Especially knowing that certain “histories” are often hidden from us or limited to only academia?